This is how I wash my large face brushes. It's especially good for tightly-packed bristles. I've used Johnson's and Aldi's own brand for both the baby shampoo and baby oil before. There's no difference, so I'd suggest the Aldi as you can get large bottles of both for under £2. 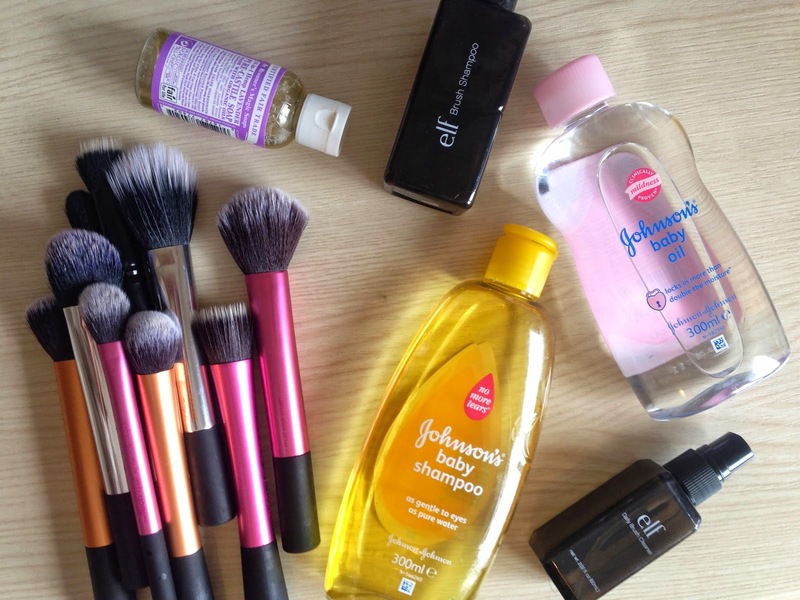 I use the Dr. Bronner Lavender Castille Soap* (from £1.99) for my smaller brushes. It's perfectly good for the larger ones too but I think the baby shampoo/oil works a little better and it's a lot cheaper. Whereas for small brushes you don't really have to do much squeezing out. I just massage this gently into my brushes then rinse with warm water. They also then smell nice and lavender-y! For both the large and small brushes I just leave them out to dry overnight, but if you're in a rush you can use a hairdryer on low heat. To do both usually takes me around 20 minutes or less. If I'm travelling, the e.l.f. 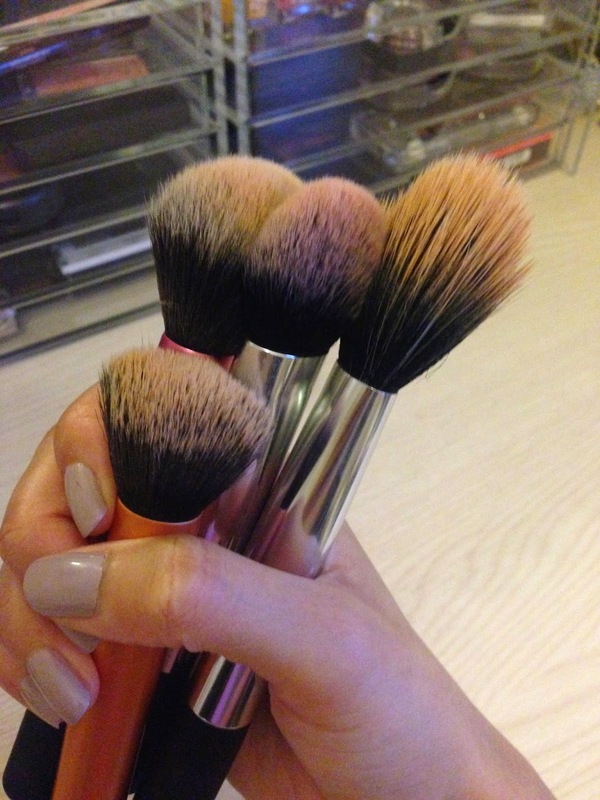 Brush Shampoo (£3.95) is a really good all-rounder. 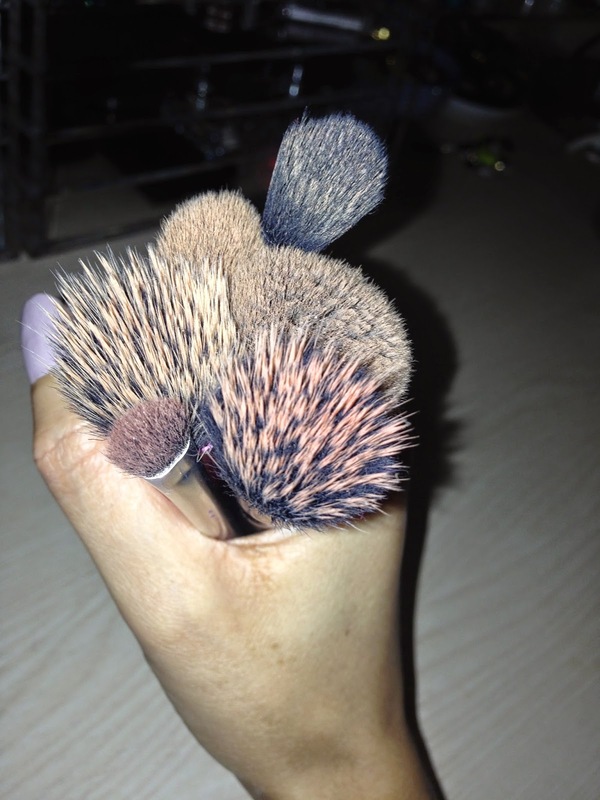 It doesn't quite get every tiny bit of makeup off but it's small, affordable and works well with all my brushes. 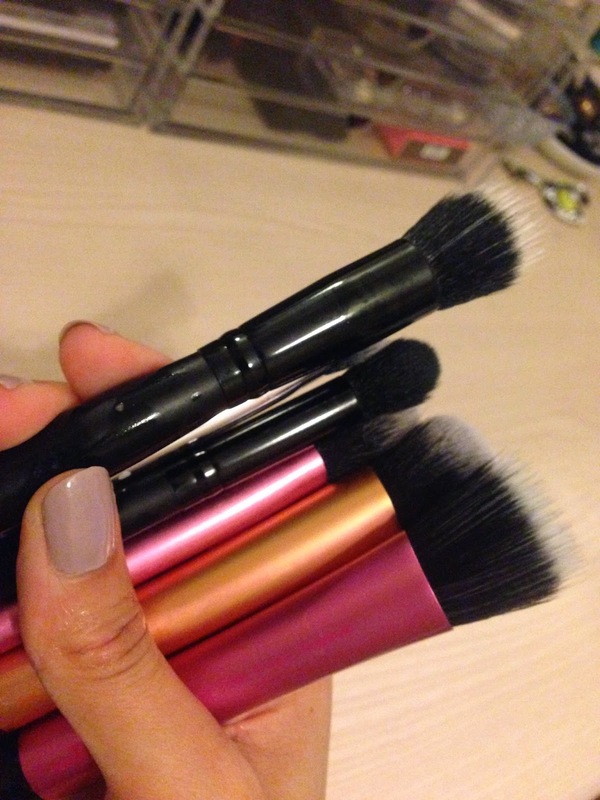 I clean my brushes in the same way as well and it works wonders doesn't it :) love how its so affordable too!! You've given some awesome tips! 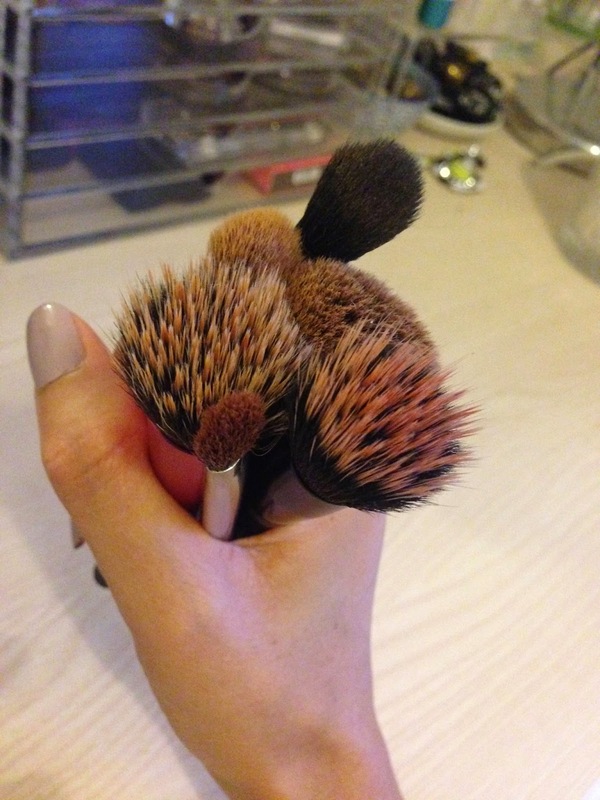 I actually wash my brushes using shampoo! I find this really does the job and leaves them feeling super soft! 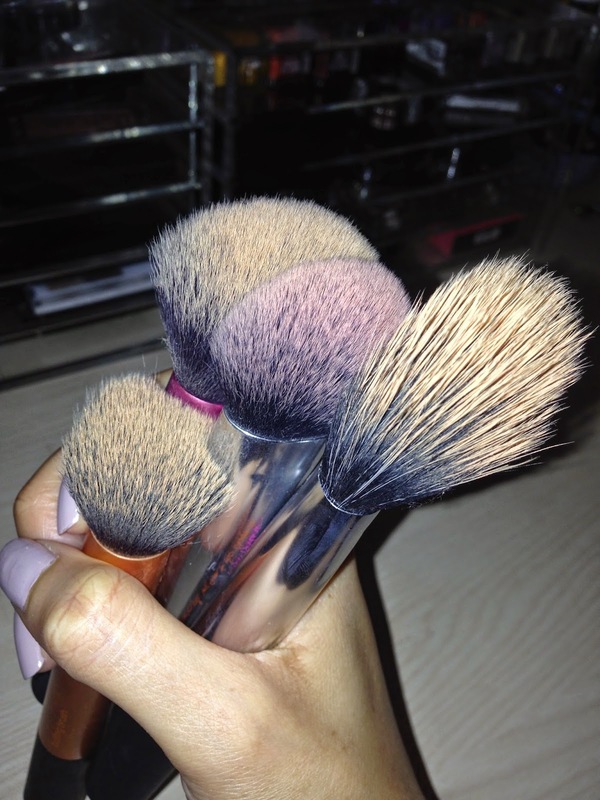 I wash my brushes once a week too, its totally the best way to get into a routine! What's the smaller black brush on the far left please? I love the look of that handle! I use Sainsbury's own brand baby shampoo to wash mine - works just as well as the Johnson's but I prefer the scent! Baby shampoo is a great way of cleaning brushes! I usually give them a quick wipe too during weekdays and give them a proper clean on weekly basis.